I see the same question pops up -"What should I do the first day?" So I made this page to address that question! When I find great first day lesson plans or suggestions of what to do the first day, I add it to this page. Thank you to the teachers whose lesson plans are found below. This page will show the routines and procedures used by many teachers over the most important days of the school year - the first week! I believe that these first few days are the most important and set the tone for the entire year. I hope these lessons help make your first few days a hit and make the year a smash! Guess I will go ahead and start this page with my first two days of lesson plans. 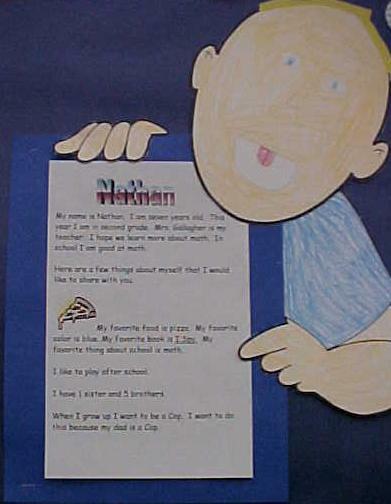 These come from my 2001 grade two classroom. It was my first year of teaching grade 2 after teaching K-3 resource room. I really over planned and these two days of lessons actually lasted me four days. I feel that as long as students are actively engaged you will not encounter behavior problems. So go ahead and over plan, it is better than not having enough planned! I tend to really write out the first few days of school plans. I feel like I am writing a script. I did find that this really made me feel prepared the first few days. I didn't even need the plans. After reading them over about two times, I was set. I would just glance at the plans and remember what I had written. It was like I had already rehearsed the show and the first day was so easy and fun. I recommend first year teachers to script out their first day plans. It really does help! My main goals for the first few weeks are to set-up my classroom routine. I want my students to know what I expect and how I want it done. When this is perfect, I dig into the nitty-gritty academics. Also, I want my students to love their new classroom and really look forward to the year. I want to develop a community that respects each other and feels that learning is fun. This takes a good amount of time, about three weeks for me. These also seem to be the most draining weeks for me as a teacher. Sometimes I think, they will never get it. Then about midway through the third week, I sit down and just observe my class and think, "My gosh, they have it. The routines and procedures are running like clockwork. My class is finally perfect!" When you feel this, you know that the rest of the year will be smooth sailing!!!! 9:00  9:30  Greet students at the door. Tell them to find their desk. Unload their bag and then hang up their coat and bag in the cubbies. Pick lunch. (Help with nametags.) Pick an office helper for the next two weeks and explain that it will be their job to take down the lunch count and money. Type a students name on a name tag in the space provided. Students who are leaving school on a bus would get a bus name tag. Students who are walking home would get a sneaker name tag. Students who are getting a ride home would get a car name tag. After you type the names on the tags, print the tags on cardstock, laminate, and place a pin on the back. Give each student their name tag on the first day. I have name tags ready for you to use in our back to school packet. Click Here to Learn More! Ther are tons of different independent activities for students to do at this time. 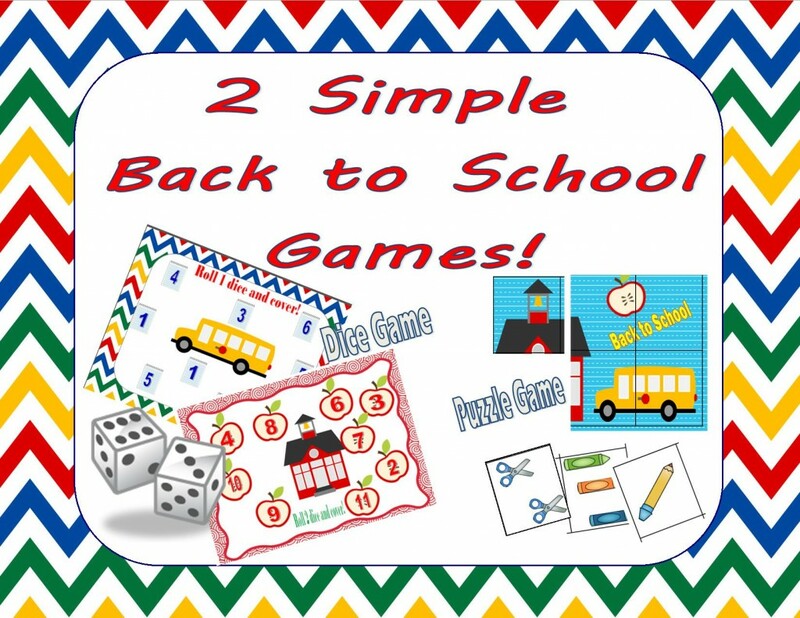 Both our Cdrom for Back to School and our Back To School Packets have a variety of fun and ready to use ideas. Click here to learn more! Collect supplies on the back table Juice, pencils, wide rule spiral notebook, glue sticks, 2 black flair pens, baby wipes, wide ruled notebook paper, Kleenex. They should place their scissors, crayons, and erasers in their take home folder. Hand out labels for folders. Decide which will be their take home folder. Pass the other folder in when they have decided which will be take home. Place take home folder in desk. Get done early... Click here for great reads for back to school week. 9:30  10:00 Please put down your pencils and crayons and I would like to show you our signal that means you need to stop what you are doing and put your eyes on me.I clap a beat and then you lightly clap the same beat. Practice the signal by having the students go back to work. We have something very exciting to do today and it is in this bag. First we have to go over some class rules and then look at the book you are working on. If you look in the middle of your groups of desks, you will see a group number. Your numbers are on the board and on the book baskets.You will receive points up on the board when I catch you being good If your group is kind and quiet I might give you a point. If your group is the first to be ready when I give the signal I might give your group a point. If you ask me for a point I will have to take a point away. At the end of the day we will count up the points to see which group has the most points. The group with the most points gets a star on their chart from the star monitor. (Pick a star monitor for the next to weeks and explain job) When you fill your chart you get to go shopping in our class store. I am going to open up the store and call you by groups to come up and take a quick peak in the store. Remember if you fill your chart you can pick anything from the store. Call individual groups to look at the store. Here is one from our BEE Themed Classroom Resources Packet - click to learn more! Have volunteers share what they have written. Tell them to place this book on the corner of their desk to finish later. This should be the only thing on their desk. Call groups to calendar that are ready and have neat areas. Above is four pages from a back to school mini book found in our Back To School Packet. Click Here to Learn More! 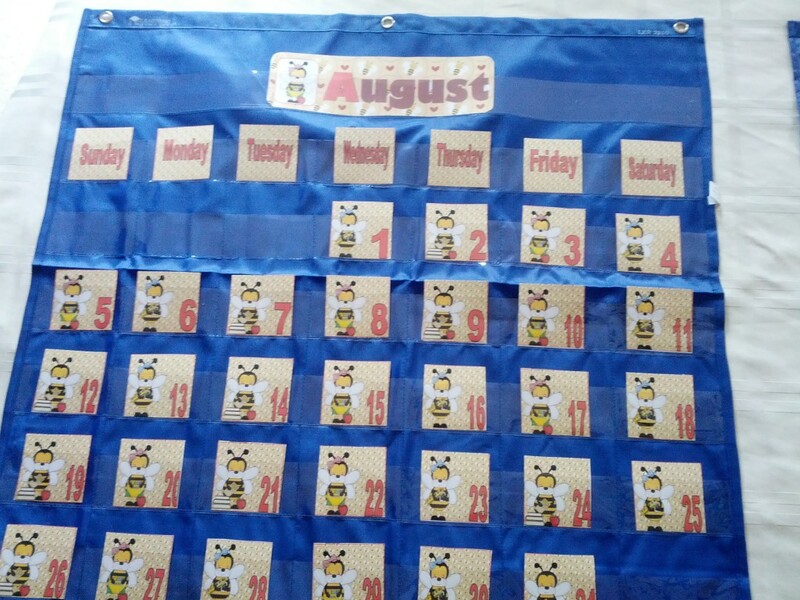 Check out our Bee Themed Calaendar! To purchase and learn more - check it out at our EJunkie store. See more pictures of the ocean set here! 10:00  11:0o Before doing balloon activity go over bathroom rules. They must place a tag on their desk when they use the rest room so you know where they are. They may only use the restroom if a tag is available. Some of you know each other because you were in the same class last year. I do not really know any of you yet. So I thought it would be fun to play a getting to know you game. I am going to pick four people to come up to the front at the same time. They will be given a balloon to pop. (hold up balloon and pop it) After they pop the balloon they will find a piece of paper with a question on it. They should practice reading the question silently and then ask me for help with any difficult words. Then one at a time they will read their question and answer it. Call six groups of 2-4 students at a time to come up and pop a balloon. After a student pops a balloon, give them a tootsie pop to eat quietly while they watch the other students! 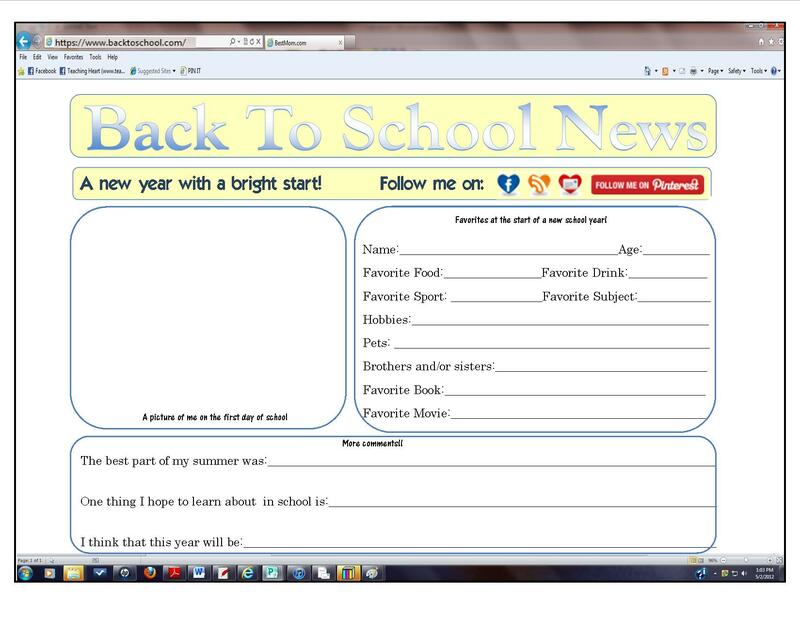 Question strip for this activity are ready to print and use. Back to School Packet. Click Here to Learn More! To get the files above to use - Click Here to Learn More! 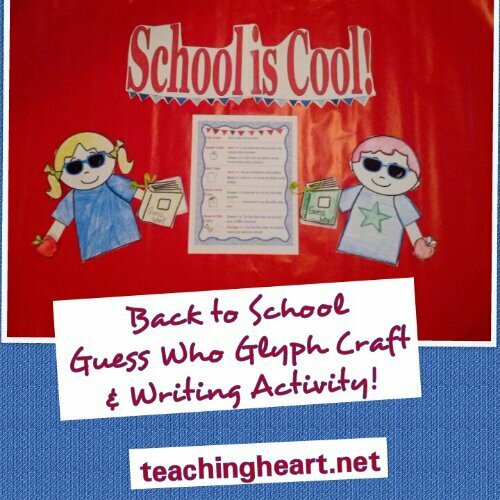 The Poem and Activity Sheetseen above are foun in our Back To School Packet! Click Here to Learn More! 11:00  11:20 Go back to seats using marshmallow toes and voices. 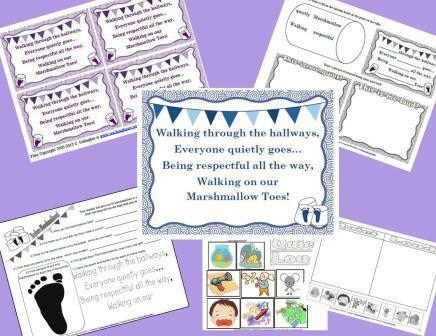 Explain that you will be looking for the group that does the best job of using their marshmallow toes and voices as they go back to their groups. Award points to groups that did a good job. Pick a pencil person at this time and explain the job and show what to do if a student needs a pencil. Explain their writing job and how to head their paper with the name in the left corner and the date in the right corner. First we write and then you draw a picture to match the story. Giraffes live on the savanna. The weather is always warm. Giraffes reach for tree braches. The Paragraph below comes from the books below. We use these most of the year! Click on a book to learn more! Show Giraffe picture on computer. Let students listen to the sound it makes! After you have used your best writing to write about the Giraffe you need to draw a picture of a giraffe on a grassland. Show your picture. 11:15  11:25  Call groups to wash their hands and then return to their seat to finish up work. At 11:20place finished work in basket and unfinished work in folder. Allow lunch packers to get their lunches and sit quietly and begin eating. Call groups to line up for lunch when quiet. Take to lunch. (They should be able to hear the music while they talk quietly among their friends at lunch.)  May go over recess rules as they eat. 11:45 line up to wash trays. 11:50  Dismiss for recess take picture before they go out. 12:20  1:00 To calendar for story. Read story and discuss. 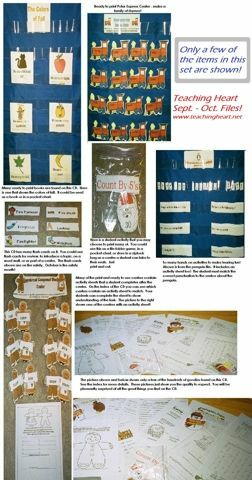 You also may be interested in our Primary Teacher Timesaver CDROm for Teaching Literature. CLick here to learn more. Someone comes up to do yesterday, today, & tomorrow - What was yesterday? 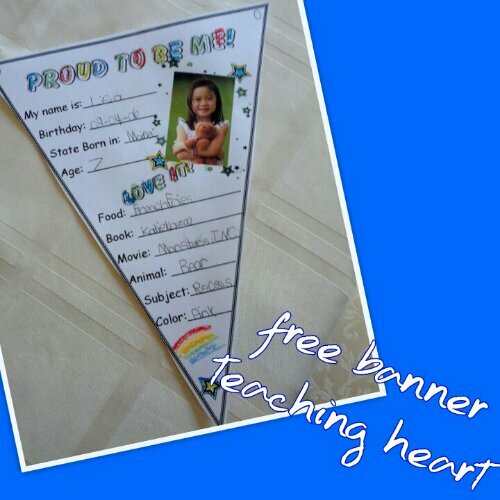 Allow students to work on banner and complete back to schoolbook and giraffe. Finished work goes in the basket and unfinished work goes in folder. 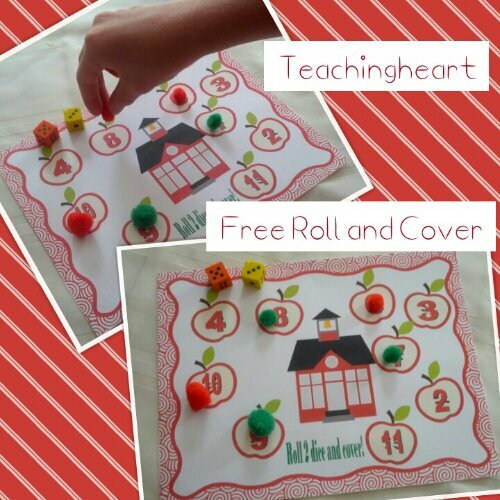 Fun Icebreaker Math Dice Game - Free to print! This game is part of this packet. Click here to learn more. This packet also has a one dice version as well as a great puzzle game kids can play in teams. Now see if you can fill in the blanks on your own. Check work. What do those three dots mean? Hand out math journals and explain that they will be kept in the desk. Have them turn to page one and tell them they will need to write the date and time on every journal page. lets put todays date and time on the journal page. Do number 1 together and have students finish the rest. Walk around to help and check. (A & T will need a modified number line to fill in).When students finish journal they should make sure that their back to school book is completed  that the giraffe page has been done and turned in  that their banner is complete. They may then read a book silently. 3;00  3:10  mini recess? 3:10  3:25 Distribute and explain other jobs. The take home folder and MOOSE FOLDER goes home with you every night (the papers inside the folder may stay at home) and must be brought back to school everyday. Dismiss groups to do this. Students put their chairs up and join you by the job chart. Neat Nuts - will make sure there are no papers on the floor at the end of the day. Book Bug - makes sure that the books are nice and neat in the reading center at the end of the day. Pencil person - collects pencils and puts them in the sharpen jar. Board Cleaner- moves all the stars to the absent side and wipes the boards clean with the eraser. Now we will add up points and see which group won today and will get a star on their chart. The star monitor will give those people a star. The rest of you will go quietly to your desks and hand the pencil person your pencil. The board cleaner, book bug and neat nut may do their jobs. Everyone else sits behind their desks until I dismiss groups to the bus. Hand out the LUCKY TREAT!!!! - Click here to learn more! 9:00  9:20 Greet students at the door. Tell them to find their desk. Unload their bag and then hang up their coat and bag in the cubbies. Pick lunch. (Help with nametags.) After announcements the office helper will need to take the lunch money down. 9:20  10:20Today I am going to show you the centers that are out now. You get to do your center when you finish your AM jobs.Today you have two jobs. - The Hippo writing and the math sheet. When you finish those you may go to your center. You will see a dot on your table. Put your finger on your dot. Ask ind. Students what color dot they have. Show center chart. We have six centers. If you have a purple dot you will be at the listening center. Raise you hand if you have a purple dot. What do purple dots do today? After you finish your jobs for the day, you will need to pick up your center folder. All your center work goes into this folder. Purple goes to the listening center today. They will need to pick a book bag and an evaluation sheet and bring it back to their desks to listen to. After they finish listening to their tape they must fill out the listening center sheet and put it in their folder. Yellow goes to the reading center today. They will need to pick a book from their group basket. After they read the book they need to complete the book report in their center folder. Each day there will be two new people at the computer center. Today is Bryce and Austin. Austin will use the white computer in the room and Bryce will use the pod computer. The game I want you to play is loaded. You will need to put on headphones to hear the game. Pink goes to a pocket chart. They will count the money in each pocket and write the amount on the paper. Green goes to the PoemCenter You will need your journals for this center. You will copy the poem into your journal and then draw a picture of the poem. Red goes to word build. At this center you will pick up a bag of letters and a piece of paper. You need to make five words with the letters and then use each word in a sentence. Put your finished work in your center folder and put the center away when you are done. Orange goes to the sentence center.They will need to grab a sentence folder. Allow them to get started and help where needed. When they finish jobs and centers they will need to work on team flag. 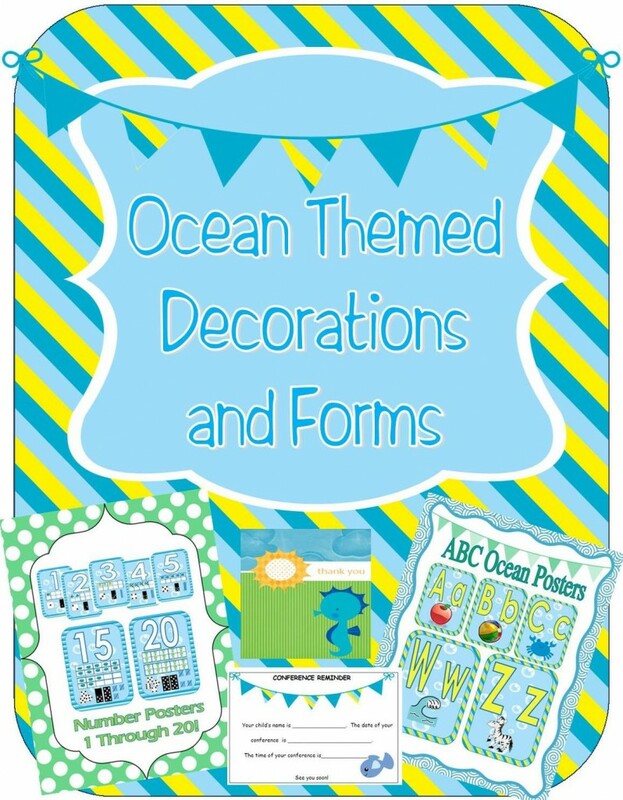 All you need to create this fun sheet is the sheet  Click here to download ME BANNER! 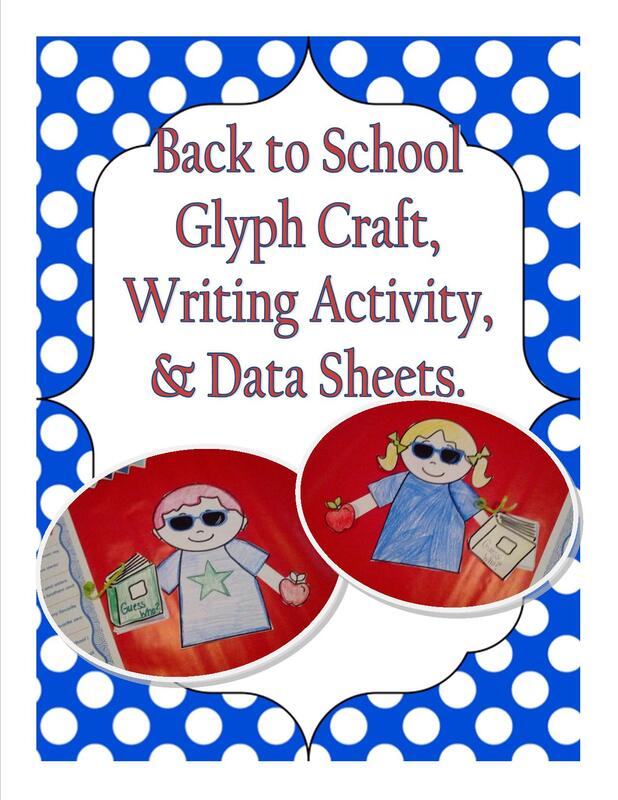 Our Back To School Glyph is also a great first week activity. I have a new product. You can view it by clicking the link below. 11:15  11:25  Call groups to wash their hands and then return to their seat to finish up work. At 11:20 place finished work in basket and unfinished work in folder. Allow lunch packers to get their lunches and sit quietly and begin eating. Call groups to line up for lunch when quiet. Take to lunch. 11:45  line up to wash trays. 11:50  Dismiss for recess. 12:20  1:00 To calendar for story. Read Miss Nelson is missing and discuss. Do calendar routine. 1:00 1:30- Discuss favorite parts of the story. Show schoolhouse patterns. 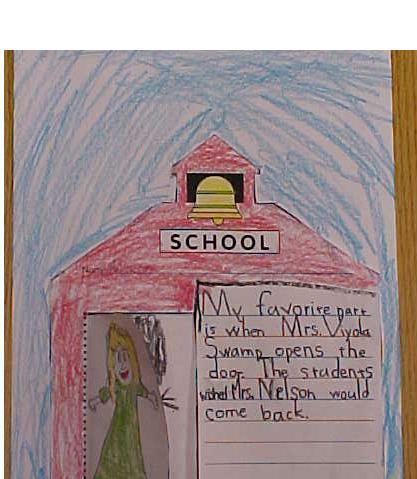 Tell students that the first thing they will do is write about their favorite part of the story. Then the teacher will check it and they will use their best writing to recopy it on to the good copy. Then they may color the schoolhouse. Put a picture of Miss Nelson on the Front Door and Miss Viola swamp on the back cover. Pass out moneybags  Have students hold up Q, D, N, P  Ask how much each is worth. Have the students take out two quarters. 3;00  3:15  mini recess? 3:15 3:25  Distribute and explain other jobs. At the end of the day you will need to get your bag and coat. Then check your tubby for any notes or papers to put in your take home folder. The take home folder goes home with you every night (the papers inside the folder may stay at home) and must be brought back to school everyday. Dismiss groups to do this. Students put their chairs up and join you by the calendar - discuss MOOSE BOOK in more detail. Here is plans I left for a sub... This may also give some ideas. I tend to go into great detail on sub plans. I subbed for a few months and always vowed to leave good plans when I was a teacher. GOOD BEHAVIOR:On The white board next to the beehive you will see group numbers that correspond with groups of students. Anytime you catch a group being good you may reward points. You can give points for participation of groups, quietness, neatness, and anything positive. Use it as you wish and where needed. 8:40  9:00  Read over these plans to make sure you understand them. Put a pencil on each students desk (pencils are next to the computer. Put the Daily writing sheet on each students desk. 9:00  9:35  As the students come in, remind them to select a lunch and get their unfinished work and take home folder on their desk. Also remind students to place their homework packet in their homework folder. At 9:10go over Daily Writing as a group. When all are finished instruct them to place it in their take home folder.  Jan is in the room at this time to work with A and R She may pull them out to give them a spelling test. The sped teacher and the speech teacher will pull Aand Rperiodically during the day. Jan will get Astarted on her modified work. When she finishes she may read a book to herself. Send the lunch count down to the office with Kristina. Now go over jobs. The jobs are on the board. The students are expected to complete these quietly while you pull kids for small groups.They know the routine and do an excellent job. Reward the group that does the best job 10 points and the group that does second best 5 points. I require them to stay quiet during this time. Explain each job. You will need to hand out the Word Wall Sheet I left and the money sheet. As you pass this out instruct them to put their name on the sheet. 1.) Math Box  This is in their journal that they keep at their desk. Read each problem to them while they follow along as you read. 2.) Justice  Read over the writing on the board and discuss. They need to copy this in their best printing. Remind them that there will be no illustration today, just writing. 3.) Chaunceys Change Purse  Explain and pass out. 4. )Word Wall sheet  pass this out. They have done sheets similar to this. They may sit in front of the word wall to complete it. They need to use words from the word wall to complete the sheet. 5. )Centers  They know the routine for Centers and you just need to mention this at their third job. 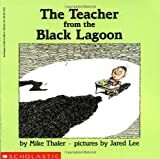 9:35  10:55 You will be teaching reading groups at the back table while the class works on their jobs. ALL THE THINGS YOU NEED DURING THIS TIME IS ON THE BACK TABLE! 9:35  10:00 (On my desk you will see fish in a jar. Spread a few on the back table facing down. Have the student take turns rolling the dice. Then picking up the number of fish on the die and reading the word on the fish. If they get it right, they get to keep the fish in a pile. If they get it wrong they need to put the fish back on the table. Repeat till fish are gone. Count fish. Student with the most fish wins. Clean up when finished. Read pages ( ) in the purple book. 10:00  10:25  (CUBS ) Hand Out the blue books. 10:25  10:45  Have this group take turns reading pages 76  78 in the blue Reading Mastery BooksThey need to be following along while the other reads. Ask questions about the story as they read. Have them partner up and find a quiet place in the room to read 64  70.Partners take turns reading a page. 10:45  10:55  Walk around and assist students as needed. 10:55-11:15  Have one student pass out the offices and have another student pass out a piece of notebook paper to each student. Give spelling test. I left a copy of the way I like the test headed and numbered. Walk the students through it. Then give the test. Teacher : Spell the word frog, what word? Teacher: A frog sat on a log. 1. )The frog sat on a log in the pond. 2. )Did the boy drink his milk? 11:15  11:20  Dismiss groups to wash their hands and line up for lunch. The students that bought lunch may start eating at their desks. Walk the students down to the cafeteria. After each student has paid you may return to the class to watch them during lunch. 11:25  11:45  Students eat as you monitor.If they have done a good job thus far, you may turn on the TV and press play on the VCR. Turn off the TV and VCR at 11:40Remind students to take out their napkins and close their milks when done eating. 11:45  11:50  Have students with trays line up to wash trays. Take them to the wash station and have them properly was their trays. Gavin will be able to direct you to this area). Return to groups and dismiss teams that are quiet and that have clean areas to recess. 11:50  11:20  Your lunch. 11:20  12:50  At 11:20, open the back door and let the students in. At this time they may get a drink and then have a seat by the calendar. 1. )Read the story I have left on the chair. 2. )Have student place the date on the calendar and tell the class the date. 3. )Pick students one at a time to fill in each part of the Attendance and lunch count section of the chart. 12:50  1:30  We have been discussing patriotic symbols. Have them brainstorm a list of those symbols as you write them on the board. Read over the American Writing sheet together and discuss possible answers and write some more words on the board as you discuss. Allow them to work on the sheet as you walk around and help students. 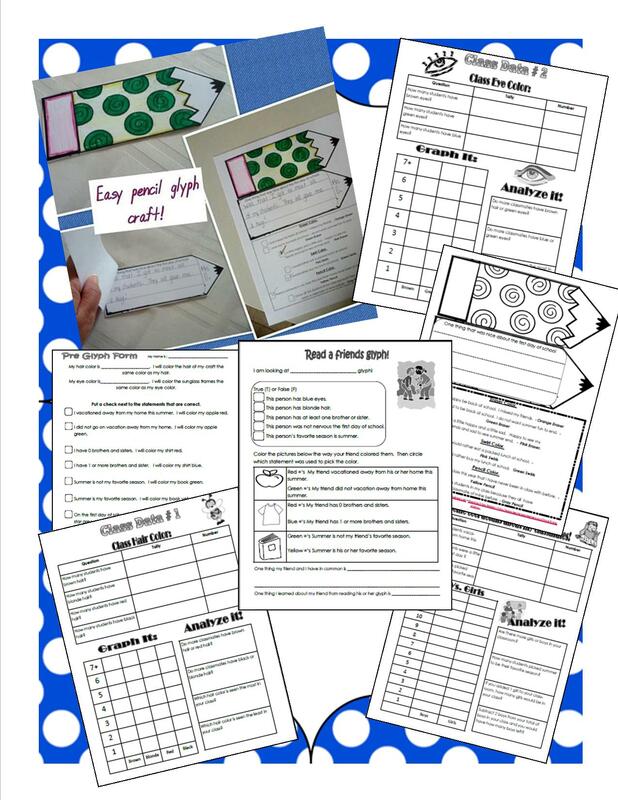 Collect sheets at 1:25 and get ready for recess. 1:25  1:50  RECESS  You may take them outside to the playground outside our classroom doors. Be sure to prop our back door open, so you can get back inside through that door. I allow them only to be in the bark area so that I can have my eyes on each of them. Walk around and monitor. 2:25  3:10  Complete the attached math lesson. 3:10 Have the shuttle bus students collect their things and get ready to go home. They will need to check their cubbies and put papers in their take home folders. You may dismiss them at 3:15 At this time you may make the statement; People with jobs may do them. Also count points and reward the highest group a piece of candy from my jar! 3:10  3:20  Dismiss groups 1 at a time to quietly get their things and check their cubbies. Only Available in Bundle. See Below. For single classroom use only!Only Available in Bundle. See Below. All prices include shipping and tax! I just gave you my lessons for the first few days. Here are some other tips and lessons from teachers. I have compiled these from mailrings and chatboards. Hope it helps. like "I am a sucker for you!" individual conferences with our students and their parents. high school and still talk about the gingerbread man hunt. very legalist...so make sure your rules are fair but firm. cute little kindergartners or the fantastic first graders). do what they want to do! when someone is talking...not coming up to me and "patting"
to what I expect during that time. beginning of the year...we model and talk about this a lot. lining up quietly with hands to themselves. Second Graders usually know the rules...they just need help with your expectations and specifics. back to these whenever conflicts arise. rules...but I try to break these up into small chunks of time. skills as part of my "rules" instruction. and drawing about our new classroom. The First Day....every year it seems like all I do is TALK. I have group time...read a book...talk about the rules a bit. Have lots planned....expect to get about half of it done! don't expect to get it all done...there is always next week! them all whole group, doing the same things to begin with. independent work time while I do small groups. up, you will probably spend some time passing out books. going to bne studying what is expected. Correct in class. It gets them into the groove for the day. things to be done each day for the week during free time. When students arrive they have a file folder that was decorated by previous year's students on their desks. In it is a letter from the student, a fun pack (various fun pages) and a mini phonics fun book) Also before the first day of school we have a parent night. Students get directions to make a "Get to Know Me" bag. Students share these throughout the first day and rest of week. kind words and warm feelings. *The chocolate kiss is to comfort you if you are sad. *The penny means you are valuable and special. *The tissue is to help dry someones tears. me if you need to talk. And I wont do any less. And I wont accept a mess. Til my papers are complete. And Ill try on every test. I always start the first day with playdoh at their seats. That way, you can go around and make sure they've emptied their bags of supplies and notes and gotten their nametags. Then, basically I run through a simplified day. Discuss what we will learn at school during the year. Read Berenstein Bears Go to School or another first day book. Then for the rest of the week and the next, we talk about school and friends and All About Me. We do lots of get to know you activities and name games. I usually have something on their desk for them to start on....I use a coloring page with Arthur walking to school. They can immediately sit down and do this without any instructions. I don't know if you have kids bring in supplies...whether you have desks or tables...these logistics will make some difference in how you start out. If you have desks...they can just put stuff away. If you have tables...I'd designate a table for different things...we have kids bring in kleenex...soap...markers...folders. Once we are a little settled...I usually have a short group time...I talk a bit about myself and second grade. I introduce my very basic rules...when we are in group time we take turns, don't interupt, keep hands to ourselves. I make sure they know about bathroom rules. Then I send them back to their seats to work on a page about themselves. Usually it has a place to draw a picture of themselves, list their favorite things...favorite color, favorite food etc..
Then we come back to group...or stay in seats and share a little about themselves. Then I give a review math sheet....basic addition and subtraction facts. I walk around to see who zips through and who struggles. If they finish...I take it up...if they don't...that clues me in too! I usually have another short group time to do a little more about rules and procedures ( I try to break these introduction lessons in short stints so they can digest the new information a bit at a time...all through the first few weeks). 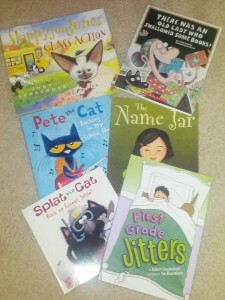 Our reading series has small decodable take home books...so we usually read one of these together and they take it home to practice read for homework the first night. Second graders are pretty independent...so they enjoy working on things right from the start. Some group activities are fine for the first day....but I find second graders like taking their time getting to know each other. I usually have a few "sharing" type things the first week...but generally they get to know each other at their own pace as we do regular work. I like to do a graphing your name....use graph paper...they write their first name over and over until they fill the paper ( I use 1/2page one inch squares). Then they choose color for each letter and color in the pattern. First week activities....making graphs is a great way to do math and get kids acquainted...who has a dog, cat, fish, birdFavorite food....favorite special area....how you get to school. I find mixing short (20-30minutes) group times....with independent work times where they work on worksheets or reading/writing activities works well. 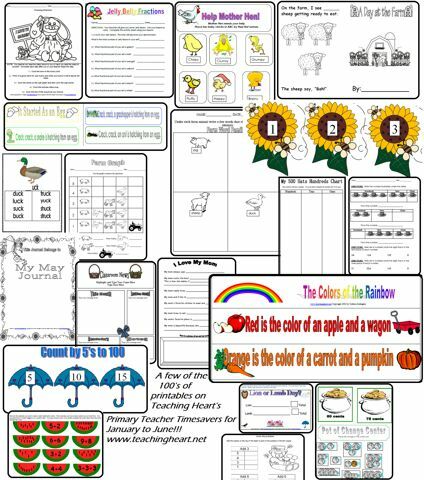 All Content contained of the pages within this website is copyright Teaching Heart 1999-2013 by Colleen Gallagher, all rights reserved. We give you the permission to download, print, modify, and generally use the written material contained herein, we do ask that you respect our rights and not publish any material on this site without prior written consent. Please do not copy and paste content from this site onto your site. Thanks!